Are you tired of having insufficient hot water in your home? This Reliance 6 30 POCT propane gas water heater is probably the one that you need! This tall water heater features a Piezo igniter that conveniently provides one-hand pilot ignition with no matches needed! Having an Eco-Friendly Green Choice gas burner and a factory-installed T&P relief valve, this electric water heater ensures safe heating inside your home. It includes a durable anode rod that protects the tank from corrosion. This eco-friendly water heater reduces maintenance with the help of its self-cleaning PEX dip tube. Having an Energy Factor of 0.63, this water heater is designed to provide sufficient hot water efficiently. It has a height of 61-3/4", a diameter of 18", a tank size of 30 gallons, and an input of 32000 BTU. 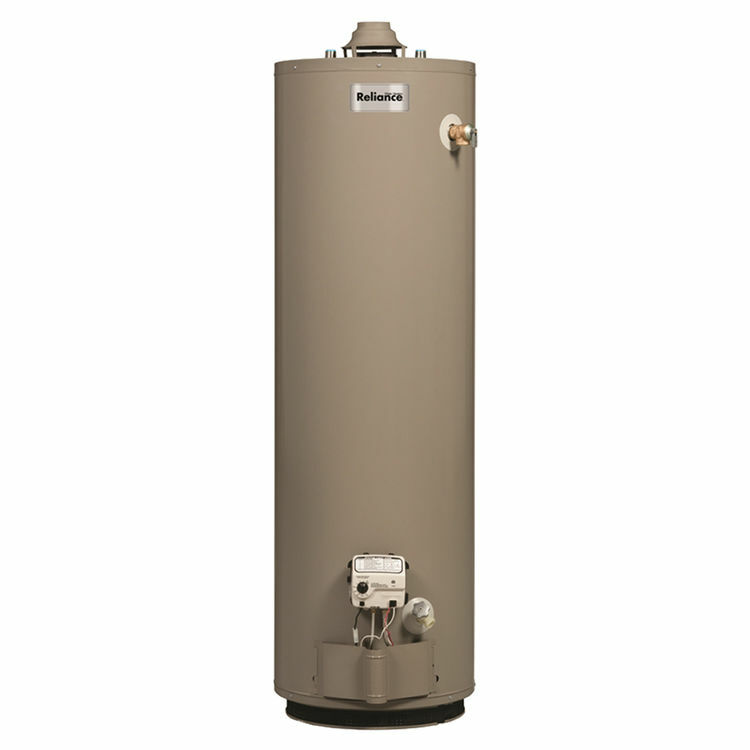 This Reliance 6 30 POCT water heater is covered by a 6-year limited tank and parts warranty. Reliance takes pride in providing economical yet competent water heaters in the market. In partnership with Reliance, PlumbersStock aims to help you find sound solutions to your water heating needs. Shipping Dimensions 22.1" x 19.1" x 61.6"